January 14, 2012 — Regarding Sally Jenkin’s Washington Post article, we are pleased that Coach Paterno has had an opportunity to tell his side of the story. Perhaps if the Board had taken the time that Ms. Jenkins took to interview Coach Paterno, we would not be concerned today about a lack of due process, and the outcome may have been very different on that November 9th night. Instead, we continue to be dissatisfied with the lack of due process exercised by the Board of Trustees. 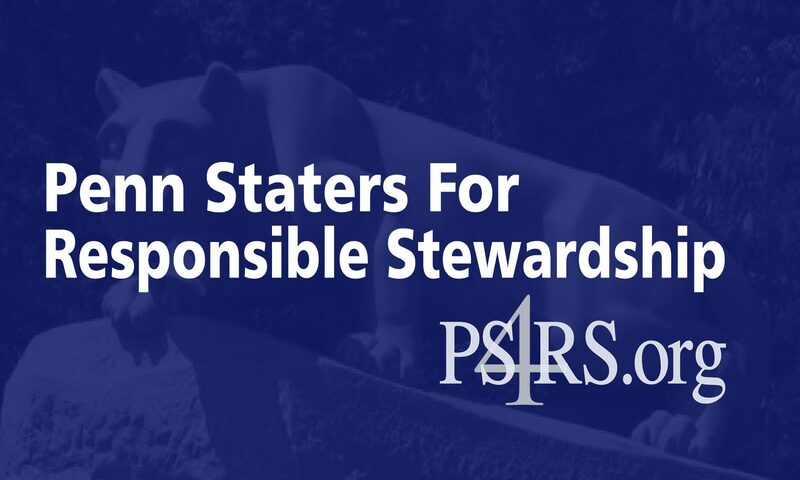 While putting new Trustees in the three open seats is the stated mission of PS4RS, it is underscored by our desire to see Coach Paterno’s name and reputation restored. Alumni looking to make a difference in the upcoming Trustee election must request a ballot by January 15, 2012. Please go to BOT@psu.edu to request a ballot.